Dubai: The Indian Premier League is the most sought-after tournament in world cricket today. Its popularity increases by leaps and bounds with every edition. The crowds that turn up to watch the league at different venues as well as the television viewership have shot up every year. The result has been that the television broadcasters are willing to pay huge amount to telecast IPL rights. All international cricketers around the world now look forward to being picked by the different franchises to play in the league. The remuneration that they can get for the display of their skills is the highest among all leagues around the world. The IPL may be an Indian tournament, but the reach of this league has been enormous. Many leagues have come up around the world wanting to emulate the success of IPL, but they have not been able to match it in stature. The elected officials of the Board of Control for Cricket in India (BCCI) that runs this league have also been removed and it’s being run by a body appointed by the Supreme Court, yet the progress of this tournament has not been dented. Following the 2018 IPL auction, for the first time, all the teams will have fresh players. Most of the players who were associated with a particular franchise will be playing for new teams and cricket fans are eagerly waiting to see how their favourite cricketers will be performing wearing new team jerseys. The retention policy had resulted in most teams never releasing their top players but that trend has now changed. All team have focused on building a strong squad taking into consideration the utility of the player and his ability to play in all their matches. The introduction of mid-season transfer has also added to the excitement. A five-day transfer window between Match No.28 and 42 allowing teams to transfer players may help some players who were confined to benches to get an opportunity to exhibit their skills too. The return of Chennai Super Kings and Rajasthan Royals who were suspended from the league for two years will stage a comeback. Though it was the wrong doing of these teams that resulted in the suspension, the fans are ready to back them. The return of Chennai has generated huge expectation from the fans. This team, which has always qualified for the play offs, have got good players like in the past. The video from their star player Mahendra Singh Dhoni saying We are back! We are back as a whole team has become very popular. The return of Royals to has created a huge impact in the social media and fans believe that their team will make it a ‘Royal’ return through their performances. This edition of the IPL will be a television viewers’ delight. Technology will be introduced extensively to make the matches more exciting. Star India will bring the matches on the Virtual Reality platform via the Hotstar app. This app will allow users to select different camera angles and change the commentary language. VRT cameras will be installed in the stadiums which will shoot the game from all the angles. The event will be exclusively broadcasted by Star India in six different languages - targeting a reach of 700 million viewers across TV and digital formats. The broadcasters have claimed that it will be an immersive experience for the cricket fans. 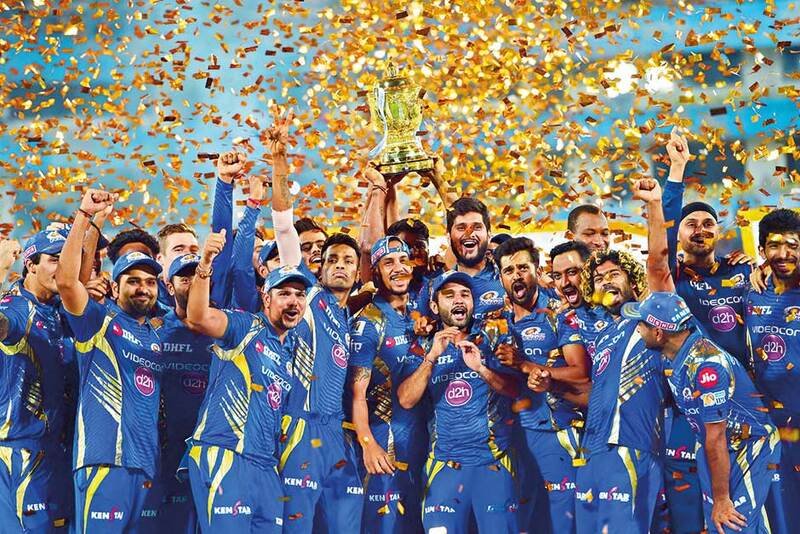 Star India, foreseeing the increasing popularity for the league, acquired the IPL’s global broadcasting and digital rights for $ 2.55 billion for a period of five years. Cricket fans are eagerly awaiting to see how much the Decision Review System (DRS) that will be in use for the first time in the IPL add to the excitement. Since the DRS has reduced umpiring errors in all three international formats of the game, it is likely that DRS may help IPL too. Each team will be allowed one review per innings. It is a fact that IPL had seen some poor decisions by umpires in the previous seasons. Teams are likely to use the DRS intelligently and in crucial moment of the game unlike early years when the decision of the umpire was final. The IPL will thus become the second major T20 league to introduce DRS after Pakistan Super League which has availed its service for their matches. Cricket fans are eagerly expecting not only the star players to deliver but also the new talents. Many Under-19 players have turned into overnight millionaires with franchises picking them up for huge money during the auction. All eyes will be on Kamlesh Nagarkoti, the India Under-19 pacer who has become the costliest under-19 player in the 2018 auction when Kolkata Knight Riders got him for Rs 3.2 crores. Kolkata also picked India Undere-19 vice captain Shubman Gill. Prithvi Shah, the Indian under-19 captain, has been picked by Delhi Daredevils. Another Under-19 player, fans are waiting for is Afghanistan’s Mujeed Zadran who is already creating waves and will play for the Kings XI Punjab. It was through IPL that players like Shreyas Iyer, Rishab Pant and Washington Sundar have reached the Indian team. Strength: Kolkata’s strength is its bowling. There is variety in their attack as bowlers include Mitchell Johnson, Tom Curran (replacement for injured Mitchell Starc), Sunil Narine, Piyush Chawla, and Kuldeep Nayar and under-19 pacers Kamlesh Nagarkoti and Shivam Mavi. They have a confident captain in inform Dinesh Karthik. Weakness: Batting doesn’t look very strong. Middle order looks inexperienced. There has been an overreliance on youth and U-19 star Shubhman Gill will have to deliver. The bench strength is extremely weak. Strength: Chennai has a number of all-rounders who can win matches like Shane Watson, Dwayne Bravo, Suresh Raina and Ravindra Jadeja. Their spin attack is also excellent with Harbhajan Singh, Imran Tahir and Karn Sharma and Jadeja. The inspiring presence of their captain M.S. Dhoni is a huge plus. Weaknesses: CSK have nine players who haven’t played a single game in the IPL prior to this season. Also, 11 players in their squad are above 30. The team might miss a top quality opening batsman for building the innings. They don’t look a balanced team. Strength: Bangalore’s strength is, of course, the strongman of Indian batting in Virat Kohli. Backing him are batsmen like AB de Villiers, Brendon McCullum and Quinton de Kock. In bowling, they have Tim Southee, Umesh Yadav and Nathan-Coulter Nile. They look strong in all departments of the game. Weakness: Despite their huge strength, the team has never gelled as a unit. Picking the right XI for the match is a tough task. Some of the players in the squad did not have a great domestic season. Their performance, despite the big names, have been inconsistent and they are put their name in the roll of honours for champions. Strength: Hyderabad has some excellent matchwinners in Bhuvaneshwar Kumar, Shakib Al Hasan, Rashid Khan. The batsmen too can win matches especially players like Kane Williamson, Manish Pandey and Shikhar Dhawan. They have players for all positions and for all conditions as they have retained their core team in the auction. Weakness: The ban on captain David Warner will hit the team hard so the absence of a top class experienced batsmen will be felt. Yusuf Pathan, one of their star batsmen, is no longer the same force they used to be. They have England’s Chris Jordan but still miss a good pacer. They lack finishers in the team. Strength: Reigning champions Mumbai is another team which has some of the finest allrounders in the squad like Kieron Pollard, Ben Cutting and Suryakumar Yadav. They also have the Pandya brothers and is being led by one of the most aggressive batsmen in Rohit Sharma. They also have a good T20 player in JP Duminy. Weakness: The team bowling attack isn’t impressive like it’s batting. The team will have to depend on Jaspreet Bumrah, Pat Cummins, Jason Behrendorff to click. They don’t have a specialist spinner and those in the squad haven’t proven their strength. Strength: They have two of the finest opening batsmen in Chris Gayle and Aaron Finch and if they get going, the team can get off to a brilliant start. Another strong point is the presence of T20 experts like David Miller, Yuvraj Singh and Marcus Stoinis. Though Ravichandran Ashwin is captaining in the IPL for the first time, he is one of the shrewdest thinkers in the game today. Weakness: There aren’t any top class bowlers in the team. Except for Ashwin, none of the others can win matches through their bowling while their pace attack looks very mediocre. They also do not have an experienced wicketkeeper. Their bench strength is also not particularly strong. Strength: The return of Gautam Gambhir as captain has given a huge boost to the team as he hails from New Delhi and fans are waiting to cheer him. He also comes after a successful stint with Kolkata Knight Riders. With Glenn Maxwell, Daniel Christian Chris Morris. Jason Roy and Rishabh Pant, the battling looks solid. Weakness: The bowling isn’t impressive with only Amit Mishra as a matchwinner. It remains to be seen if Mohammad Shami, who is grappling with a crisis in his personal life and has just suffered a road accident, can still be the leader of the pace pack. They also lack a batsman lower down the order who can lift the team from a poor start. Strength: Rajasthan Royals have the batsmen who can adapt to any roles needed for the team, though it remains to be seen if they can thrive with the sudden loss of Steve Smith. Ben Stokes, Ajinkya Rahane, Rahul Tripathi, Sanju Samson, Jofra Archer and Jos Butler are very useful batsmen who can rise to any challenge. D’Arcy Short in the role of a pinch-hitter can be deadly. Weakness: The team’s biggest drawback is the absence of a good spinner. If the match is held on a slow wicket, the team will struggle. Most of the bowlers in the squad are inexperienced and Jaydev Unadkat will have to rise to the expectations. Their bench strength is also not very strong. The England allrounder Ben Stokes career was involved in a drunken bar brawl leading to him miss the Ashes, but he was the biggest purchase of the 2018 IPL auction. Rajasthan Royals snapped him up for $1.96m making him the costliest overseas player. Indian pacer Jaydev Unadkat was purchased by Rajasthan Royals for $1.8m. Unadkat was responsible for India inflicting a 3-0 sweep over Sri Lanka in the T20 International series. It could be his accuracy and consistent performance that fecthced him such a huge amount. During the auction, Mumbai Indians and Kings XI Punjab were in a race to get Indian batsman Manish Pandey. When Royal Challengers Bangalore too entered the fray, his stakes went higher. Finally, KXIP bowed out and Sunrisers Hyderabad sealed the deal at $1.7m. Lokesh Rahul’s splendid show in all three formats of the game fetched him a whopping $1.7m from Kings XI Punjab. The advantage of Rahul is his adaptability to bat at No.3 or No.4. He has the additional benefit of being a wicketkeeper too. Australia’s big-hitting Chris Lynn became another big earner of the 2018 IPL auction when Kolkata Knight Riders got him for $1.5m. His creditable show in the Big Bash League matches this season has resulted in the huge price.